Fonseca cigars feature a smooth blend of lush Dominican Cibao Valley tobaccos for an incredible, creamy and earthy taste. In either Natural or Maduro, these easy-going premiums will complement any relaxing situation, morning, noon, or night. 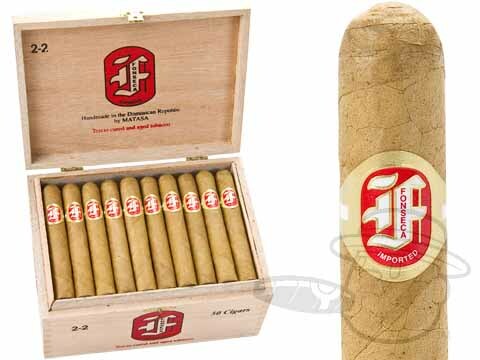 Fonseca 2-2 Natural By Quesada Cigars is rated 4.9 out of 5 based on 2 customer ratings.